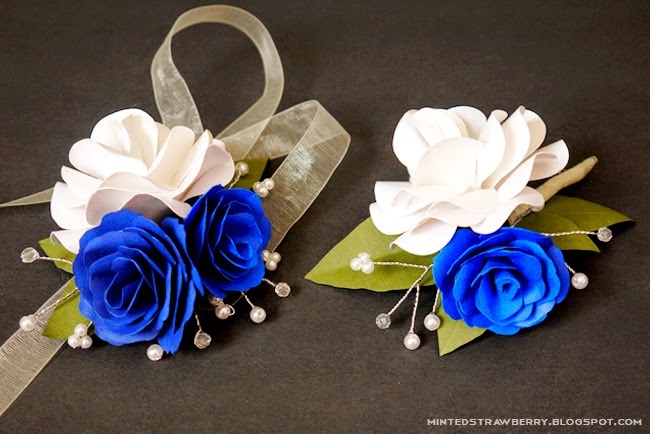 So a few days ago a friend texted me and asked if I could make her some corsages and boutonnieres for her prom. 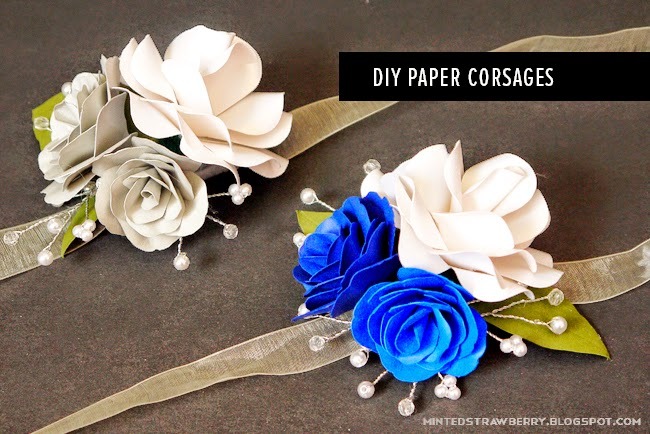 I didn't want to make them from fresh flowers (because that means I have to make them the day-of to be their freshest and best) so I suggested paper flowers instead. 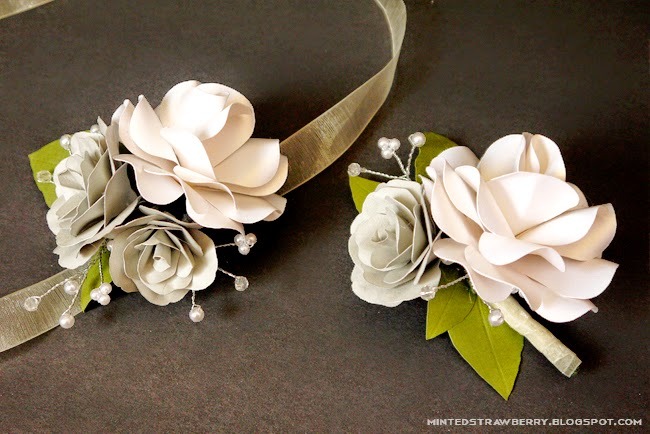 They were okay with it, but I was nervous - it was my first time making paper corsages after all. But it turned out better than I expected so I wanted to share it with you guys! It's basically just constructing the flowers and then arranging them to form your desired arrangement. Add the pearl sprays and the leaves, wrap them in floral tape, and then wrap them in ribbon. I had a bit if difficulty constructing the wrist corsages, but once I got the hang of it it became easier. I finished off the backs with felt to attach the bar pins for the boutonnieres and ribbon for the wrist corsages. I actually found making this enjoyable. I don't know which I like more - the blue or the gray. What about you? 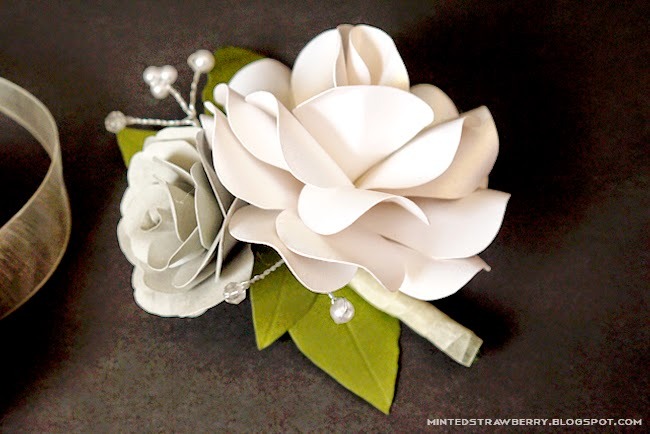 I hope this inspired you to make your own corsages for your prom or even wedding - hope your week is great so far! Thanks Zakkiya! I love it too, except since it was one of the first ones I made it was a lot of trial and error. Haha! So pretty! 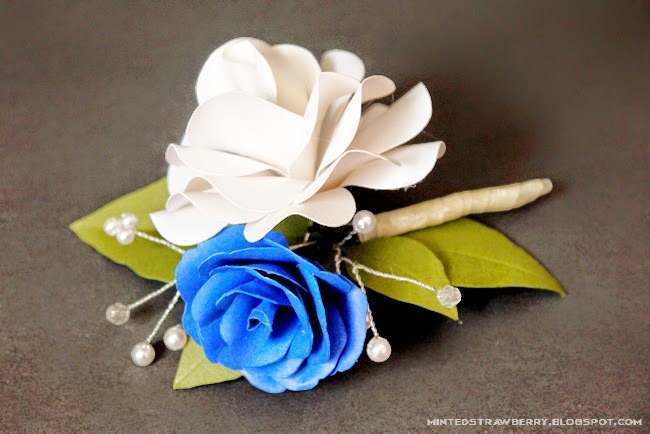 I die for paper flowers. I like the grey best. Thanks Valerie! The gray did turn out really nice. These are stunning! And I love that they'll never wilt! Fantastic job, Aki. My favorite is the white+gray combo. It'd be cute with gold or faded light pink too! Wow, so beautiful and a lovely keepsake too! They are gorgeous, Aki! I personally love the bright blue combo, but maybe you would want to match it with your friend's prom dress? You did Lia and Lori proud - these are lovely. Lucky friends!